Brugal Blanco is a popular Rum available from TheDrinkShop in 70cl to buy online. Visit TheDrinkShop for the best price for 70cl of Brugal Blanco or compare prices on our other Rum products. Crystal clear with aromas are so light and clean they give the sense of pure, sweet clarified sugarcane, mild citrus, with slight coconut, vanilla, and just a twinge of alcohol in your nose. The initial taste reveals a more full bodied rum. Smooth and refined with a crisp sweetness that to gives a lasting finish. Where to buy Brugal Blanco ? Brugal Blanco Supermarkets & Stockists. 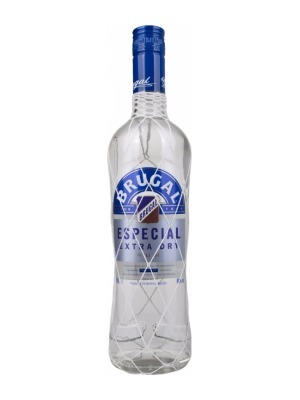 You can buy Brugal Blanco online in most retailers and find it in the Rum aisle in supermarkets but we found the best deals online for Brugal Blanco in TheDrinkShop, DrinkSupermarket.com, Amazon.co.uk, and others. Compare the current price of Brugal Blanco in 70cl size in the table of offers below. Simply click on the button to order Brugal Blanco online now.